One of the most popular chartering boats in our fleet, the Siamese Twin, or in Thai “Fad-Sa-Yarm” being so called from her twin-like 2 hulls. This 53 ft. sailing boat, large but private, fits well with those, from individual to a group of 25 persons for a day charter, and 8 persons for a night charter. 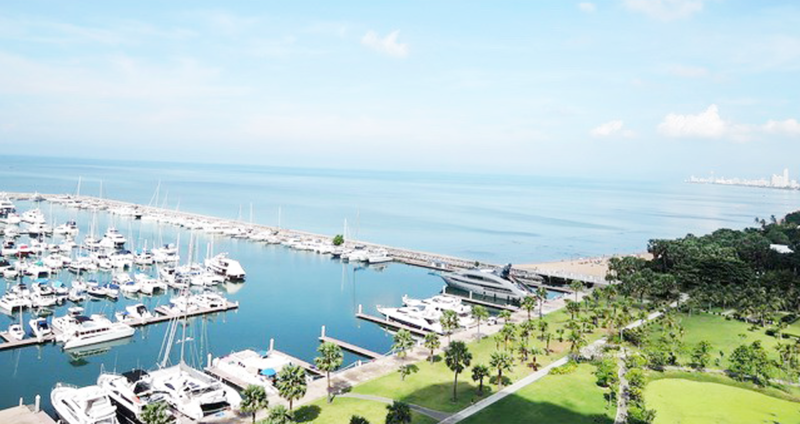 Enjoy sailing out to explore a charming seascape of the Gulf of Thailand with family, friends, or your beloved one. Stay relaxed, fun, aboard then hear only the natural sound of wave and wind while she is tenderly bringing you, without any ear-pain noisy engine, to unseen islands nearby or just heading nowhere. Experience truly happiness you are longing for to make your leisure day a memorable one. please inform us of what food and drinks you would like on the boat.